A limited number of just 5 Junior Counselors (from ages 13 - 17) per week will be accepted for this summer, and it will run on a first-come first-serve basis. Please choose which weeks you would prefer to join camp and we will let you know if those weeks are available. Part four: Please let us know if you will be using the Lunch Program Menu. Note: Please advise us if you have any food allergies and/or must adhere to a special diet. In the event of an emergency when a parent/guardian is unavailable, I hereby authorize a representative of Camp Gan Israel to make such arrangements as considered necessary for my child to receive medical or hospital care, including transportation. Under such circumstances, I further authorize the physician named below to undertake such care and treatment as considered necessary. In the event such physician is not available, I authorize such care and treatment to be performed by any licensed physician or surgeon. 2. Can your child swim? 3. Is your child taking medications at this time? If so, please specify. 4. What is the name of your primary doctor? 5. What is the phone number to your primary doctor? 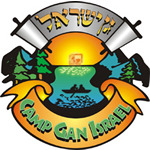 I permit my child to participate in all activities of Camp Gan Israel, on site, off site and trips. I understand that my child may be dismissed during a camp day, due to illness, at the discretion of the camp, and I agree to abide by the director’s decision. I permit my child’s photo to be used on our Camp Website or e-mail newsletters. Thank you very much! We are looking forward to a great summer together at CGI!